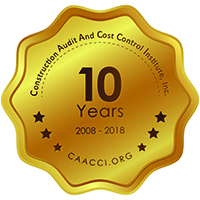 Webinar: Excessive Gifts & Entertainment - The Construction Audit and Cost Control Institute, Inc. Investigations of corruption often reveal that owner representatives were the beneficiaries of gifts and entertainment provided by contractors. Were these representatives influenced? Do those responsible for monitoring performance and billings know that constant vigilance is required? Did gifts cause owner reps to neglect inspection and review responsibilities? This webinar will explore gift and entertainment practices including discussion of excessive or inappropriate entertainment that correlates with overcharge and non-performance. Approaches to detecting overcharge and non-performance will be covered along with practical approaches to changing the culture. Assess your environment and the impact of gifts and entertainment. Define expectations about gifts and entertainment. Determine the three elements that make entertainment excessive. Determine whether gifts and entertainment contributed to cost overruns. Identify and prove excessive gifts and entertainment. Use practical approaches to reduce the impact of gifts and entertainment. Get buy-in of executives, employees and contractors to reduce the impact of gifts. Auditors, investigators, finance professionals, risk managers and compliance officers…anybody who wants to reduce the impact of gifts and entertainment on their construction projects. Courtenay M. Thompson is a recognized authority on fraud-related training for internal auditors, management and investigators. Since entering the educational consulting field in 1981, he has written and presented courses for corporations, government and professional associations worldwide. He is the co-developer of courses on audit and control of construction costs, and has developed and presented courses on purchasing fraud and contract auditing. His courses are known for providing practical approaches to real problems. Mr. Thompson’s experience prior to consulting includes public accounting, audit supervisor for consumer financial services for a large retailer, and director of auditing for a life insurance company. Mr. Thompson received his BBA and MBA degrees from Southern Methodist University and is a Certified Public Accountant. He is a member of various accounting and auditing professional associations. – In order to be awarded the full credit, you must respond to 3 out of 4 polling questions asked during the program. -The webinar is intended only for paid attendees for individual viewing on their PC. -No advance reading will be required. -The material presented during the webinar will be available after the webinar is concluded. Only prepaid registrations by credit card are allowed. If you need assistance with registering, please call Marie Jones at (254) 736-0309. Refunds and Cancellations: If you register for a webinar and are unable to attend, please notify us by email and we will apply your credit toward any future webinar. For more information regarding refund, concerns and/or program cancellation policies please contact Marie Jones by email marie.jones@caacci.org or call 254-736-0309. Field of Study: Auditing. Course Level: Basic. Group-Internet Based, no prerequisites or advanced preparation required. For information regarding CPE, complaint, or program cancellation, please contact our office at 214-361-8346. 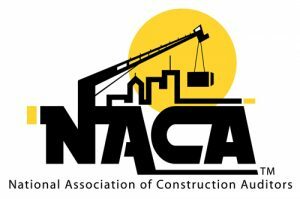 The Construction Audit & Cost Control Institute is registered with the National Association of State Boards of Accountancy (NASBA) as a sponsor of continuing professional education on the National Registry of CPE Sponsors. State boards of accountancy have final authority on the acceptance of individual courses for CPE credit. Concerns regarding registered sponsors may be submitted to the National Registry of CPE Sponsors through its website: www.nasbaregistry.org.